in fact it is a straight forward conept with direct access – no menus just 73 controls and 8 memory positions which isn’t much. no, it’s not 8 banks of 8 sounds, it’s eight sounds. one lfo – no info about speed. but the video shows – it is fast enough to reach audio speed – finally they have done it – why it took so long. thanks! – not the fastest as the guy says in the video – but it’s ok.
no mod wheel but a dial for tuning. it can model other classic synths like the SH101 – that’s what they call „plug out“, in fact it hosts these synth as a hardware, no computer needed. so up’s and down’s – even innovation because it can be another synth – they say classic synth’s – but it could be any synth like … an FM synth.. but still without dynamics. sends out controllers, controls plug ins as well – USB, midi in & out / no thru. no trigger outputs. 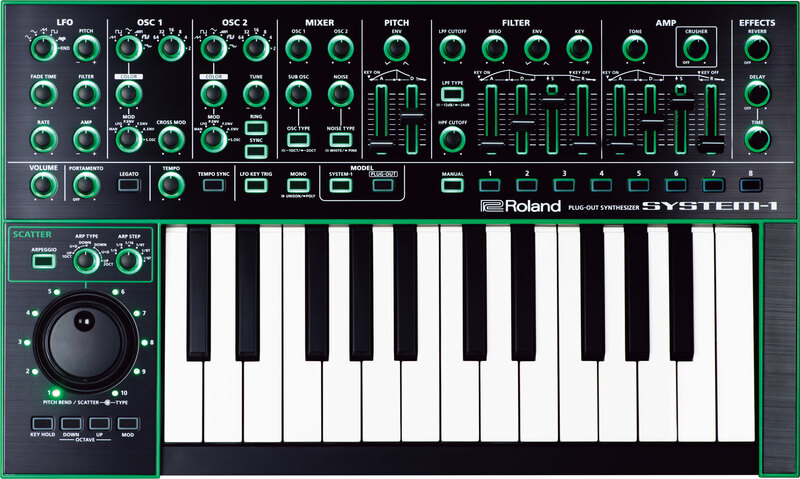 SYSTEM-1: PLUG-OUT Synthesizer | Roland U.S..
UPDATE: more on TB3 and TR8 – check this update..
Is there any knob for fine tuning (cents) the osc 1 or 2 on the system-1? 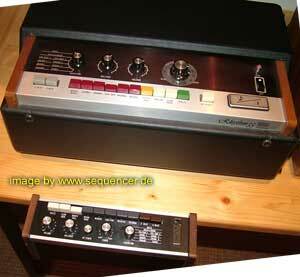 needs some waiting to check it up, but surely it might be the one-osc fixed-the other one mod’ed method etc. or via pitch envelope adjustment. and roland had some „lock octaves“ ideas like on the Jupiter 6 and 8, so it’s only 2 weeks to Musikmesse 2014 to find out for sure.